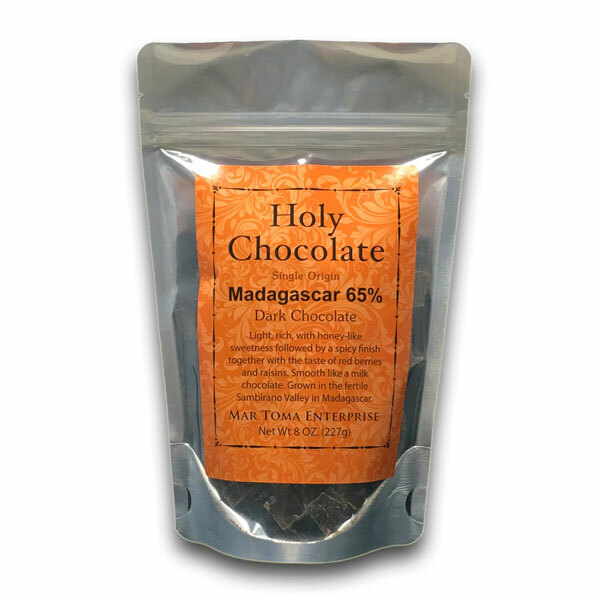 This African chocolate bar has a lighter, richer, and honey-like sweetness mingled with a spicy finish and the taste of red berries and raisins is immediately apparent. 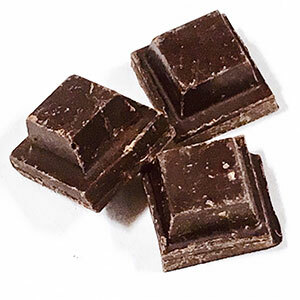 It tastes like a dark milk chocolate with a lot of flavor, but all the uniqueness just comes from the cacao bean just like all our other chocolate ingots. You will be surprised it isn't a milk chocolate. It could be called a dark chocolate for milk chocolate lovers. And its only 125 calories per square. Milk free. The Madagascar Criollo is actually pretty rare as the Criollo bean is the rarest variety in the world. I think that once you taste this variety you are going to laugh too because it is so unique and delightful. Can you imagine that a chocolate bar actually tastes like fruit all by itself with no further assistance It's just the way God made it. Some things are great just the way they are. Dried Fruit, Cherries, Stone Fruits, Hazelnuts, Pistachios, Caramel, Honey, Vanilla and Teas.